You might be wondering the purpose of these torches that have been dropped everywhere. Those that are curious should check out Anasco Island, the latest island to be discovered in the world of Syrnia. Sail from Elysian Docks to reach this new and exciting island! While most are aware of the 6 spots, all will now be revealed once you reach Thabis. There are incentives to train every skill as the focus groups and staff have ensured there was something for everything on this island. Feel free to explore and discover what has been done for yourself! A long time ago, an ancient and powerful civilization hid from the world of Syrnia within the coral reefs. Here in modern day Syrnia, we have finally learned of its existence due to a new mapping expedition by hardy sailors. While those native to Anasco are all but gone, their towns are still able to be explored. Any Syrnian who has spent time honing their skills to the fullest should find plenty to do. Who knows what new and exciting things you will find?! 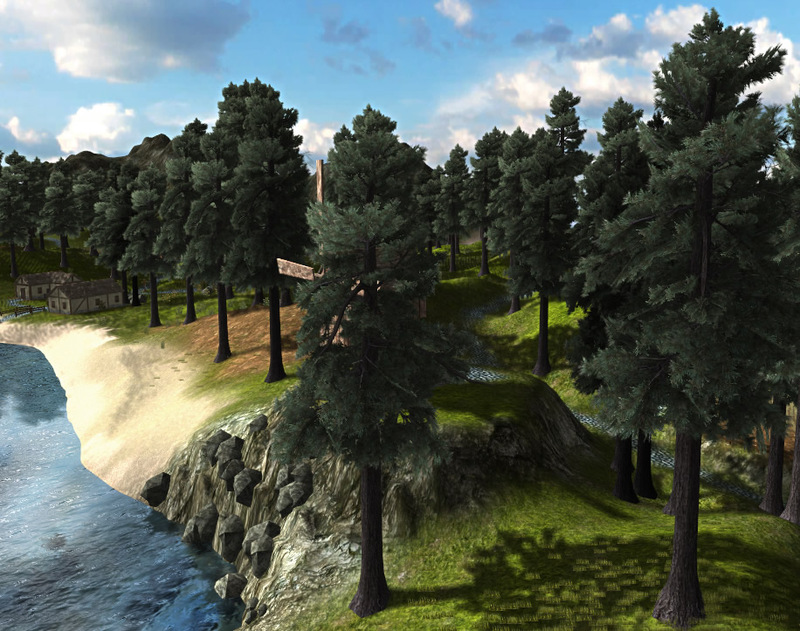 This island is aimed at high level players and adds new high level content to almost all skills. The obsidian metal has been added to smithing, for 100+ armour, weapons and tools. Two new forests (75 and 100) with new seeds for farming. In total over 60 new items/images have been added. 5 new mysterious magic orbs..
Somewhere today after the launch (once we've confirmed everything is working smoothly) we will be adding a new donation option (Trialpay). This should help those who have requested the ability to donate via mobile payments, besides that, trialpay also offers offer promotion based donations. Once this is added to Syrnia an separate announcement will be made. In this update we have not yet addressed two issues that we are aware of: Thieving skill and missing (Eully) shop prices. Both problems are on our radar but need more attention. Enjoy the updates, have fun exploring the new content!